When looking for the best products to use on sensitive skin, there are a few things to keep in mind. Knowing what ingredients cause you to react is key to navigating your way through what will and won't work for your daily skincare routine. Start with our list of the best moisturizers for sensitive skin. 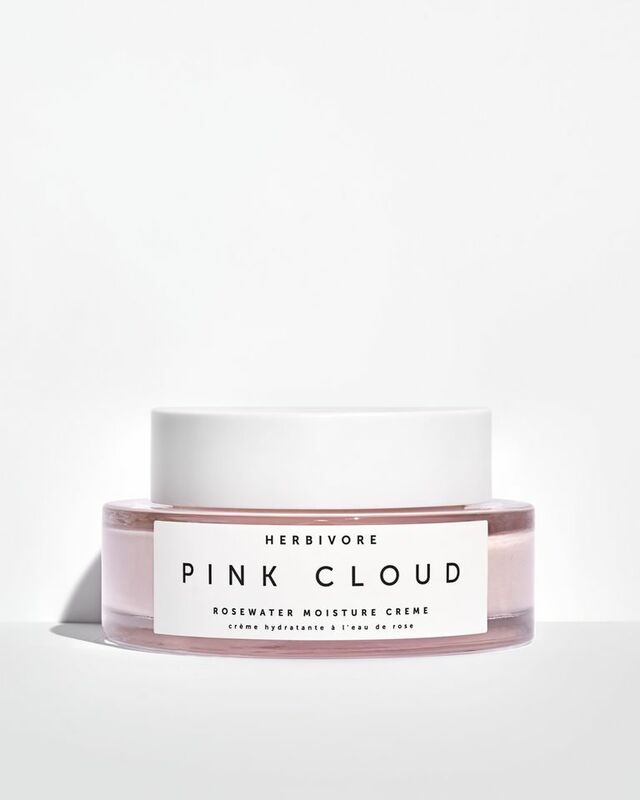 This moisturizer from Herbivore Botanicals visibly plumps skin and hydrates with ingredients such as White Tea Extract, Aloe Vera, and Rosewater, making it one of the perfect products to use on sensitive skin, for it's nourishing ingredients alone. Because of its natural properties, any skin type can enjoy the benefits this moisturizer has to offer. Apply to bare skin for a nourishing treatment, or wear underneath makeup for a glowing complexion all day long. With all the pollution and toxins our skin encounters on a daily basis, we are bound to see signs of distress show up in our skin, and need skincare to reverse the signs of aging and elements. Enter this amazing, hydrating and nourishing moisturizer from Peach & Lily. The velvety texture absorbs into even the most delicate of skin types, while matcha, cape lilac extract, adenosine and niacinamide all help to brighten, firm, and soothe skin every single day. This hydrating body butter contains shea butter and glycerin to give your entire body an all over hydration treatment along with helping to sooth sensitive skin, and dry rough patchy areas. Apply each day after the shower, or before bed for an overnight nourishing effect. Apply liberally, feel amazing. You only have one face, so why not show it a little love? This cream from One Love Organics contains Coconut Water to soothe skin and hydrate, making it a perfect contender for sensitive skin types. Cupuacu Butter conditions skin while Phytic Acid helps to soften fine lines and treat wrinkles. Wear alone, or layer with some of your favorite skincare products. This lightweight and delicate facial moisturizer is perfect for sensitive skin, and for those who want more of a lotion versus a cream. Chamomile and Jojoba help calm and sooth the most inflamed skin types, while creating a soft, silky finish on your face through the day. Massage in a circular motion on your face each day after cleansing and before makeup. This light-weight and easily absorbed moisturizer helps nourish sensitive skin with the healing properties of Vitamin E, Plumping Hyaluronic Acid, and Wheatgerm Oil. Ward off dryness with this triple threat ingredient packed cream and let your skin absorb all the delicious benefits. Neroli is known to treat dry, stressed out, sensitive skin, which is why this body cream is perfect for sensitive skin on the body. Formulated with Rose Otto and Orange Blossom, the scent is equally as blissful as how your skin feels after one application. This rich, velvety moisturizing cream with high performance natural botanicals is the perfect product for those who love the feel of cream on their skin. It's rich, so a small portion goes a long way, while Hyaluronic and essential fatty acids promote skin cell turnover for a more youthful looking appearance. Use twice a day as your moisturizer and combine with any other skincare you choose.